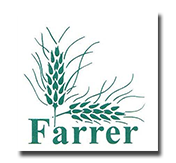 Farrer Primary School nestled in the established suburb of Farrer and has a very strong community involvement. The schools parents help to run the Canteen/Kids Kitchen, the Unform Shop and are heavily involved in supporting our wonderful Environment Centre. The school has a strong P&C and School Board giving families many opportunities to be involved in their childs school learning environment.